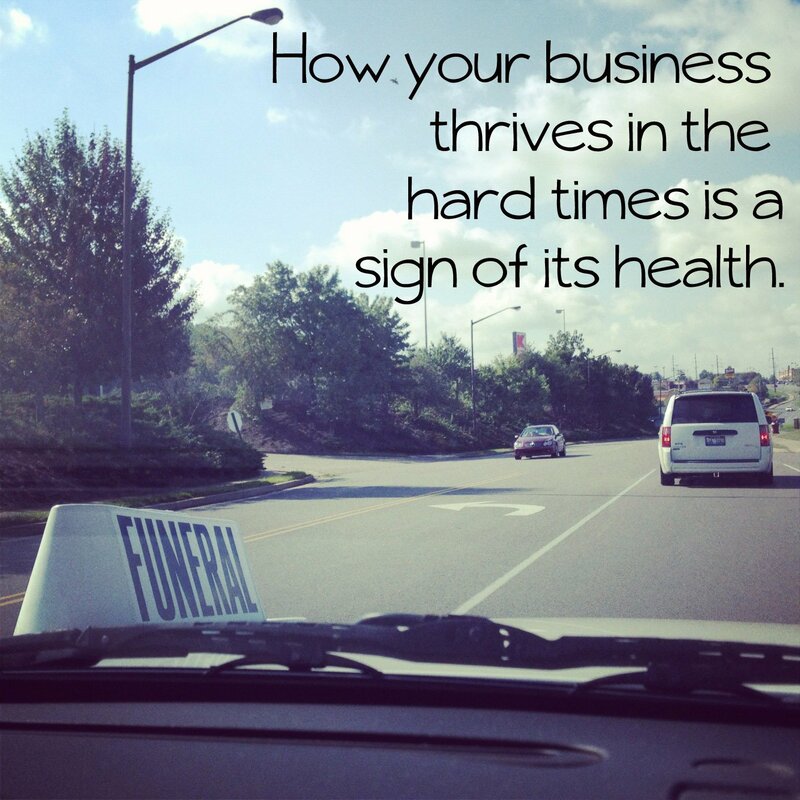 4 Comments on Funerals, travel, and holidays: how to make your business more sustainable, from the hard times out. This is wonderful because it is so so true, but not something I’d thought about in this way before. It reminds me of how my meditation teachers talk about practice: that meditation is even more valuable and critical in the tumultuous times than in the easy breezy times. I think my business is telling me it needs some ongoing offerings, so that new things don’t need to be created and launched every month. Yep. Ongoing offerings, for sure. Paying attention to where the pressure is coming from (creating and launching monthly) is a great way to figure out how to release it. Can’t wait to see what this looks like! Thank you for this Tara. It’s something I’ve really been grappling with as “life” just seems to keep piling up. I wrote a post about handling vacations before I went to Mexico (http://blog.patternedapp.com/2012/10/happy-vacation-heres-how-to-keep-your-business-going-without-you/), but dealing with the unexpected is much harder. Illness, Hurricane Sandy, and now my dog having a cancerous tumor … it’s tough and trying to both take care of myself and forging ahead in creating my business (especially at such a baby stage when I need to get it off the ground) is challenging. I’m trying to take baby steps to keep from feeling overwhelming and that seems to be helping. And letting go of the things that fall to the wayside. A big reason I am pursuing my own business is to be able to create a life that works with … my life. These moments are reminders of the big vision of what I’m creating. Oh, Rebecca, I’m so sorry to hear about your dog! And yes – at the baby stage of a business, everything kind of stays piled up until you have the product and the customers and can get into a flow.